Sleek, fast and extremely stable, the Kasai is a playful and versatile single-seater, sit-on-top kayak. Paddle this kayak daily for sport and fitness or take it out on weekends or on vacation to paddle on dams, rivers and on the sea. Although the Kasai is forgiving and is suited to the casual, recreational paddler, those with more experience will appreciate its responsiveness. Its hull is designed to glide, track and to change direction with only a few paddle strokes. 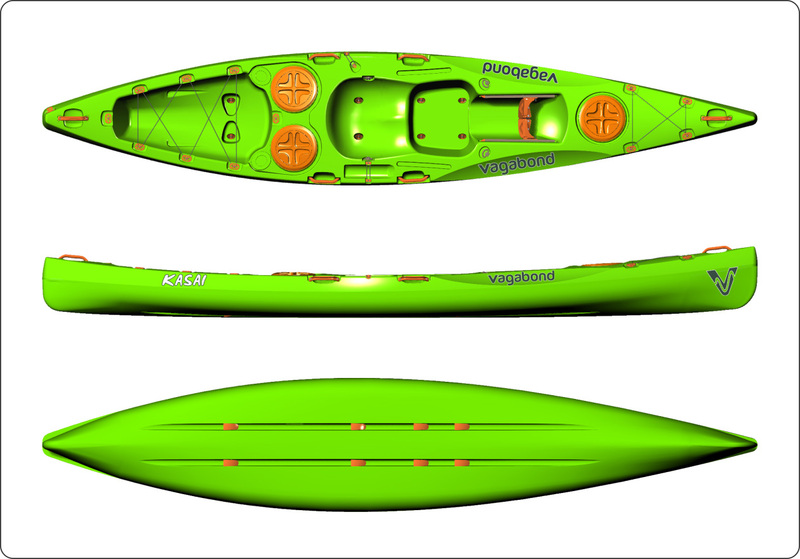 Paddlers will welcome the Paddle Cutaways that make this kayak feel narrower than it is. These cutaways allow for a full, natural paddle stroke without bashing the paddle blade against the side of the deck. Put your back into paddling with your feet positioned together in the footwell and place your feet on the Footrests to leverage each stroke. Another treasured feature is the flat Stand-up Platform in front of the seat. Where one can often get onto the water by sliding in on your kayak, getting out can be an inelegant challenge. Now, there is no need to wait for someone to help you out. Place your feet squarely on the platform and stand-up to step off. The Paddle Rest on the one side and Bottle Holder on the other side of the seat makes it easy to stay hydrated and keep your hands free when you’re not paddling. Be a vagabond and embark on adventures with your gear stowed in the 8″ Screw Hatches and Tankwell of your Kasai.